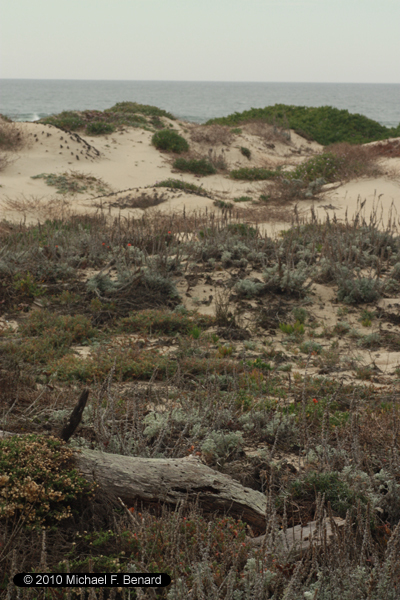 Back in 2010, I had the good fortune to spend the first day of the year herping with a friend along the coast in Monterey County, California. We selected this spot in part because in previous years we had found legless lizards there. While we had no luck with the legless lizards, we did see some interesting things. Under a number of logs there were a load of termites, some of them nearly a centimeter long. 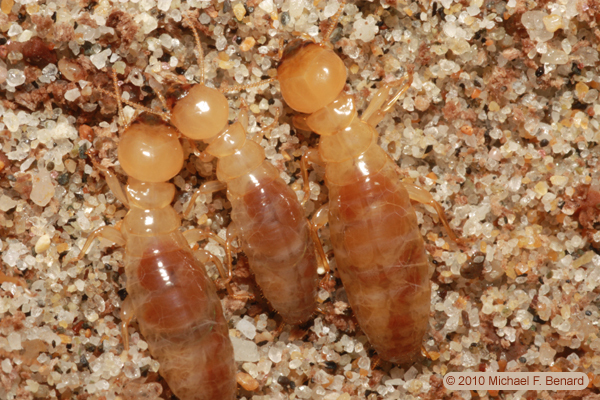 Alex Wild was kind enough to identify them from the photos as dampwood termites Zootermopsis sp. 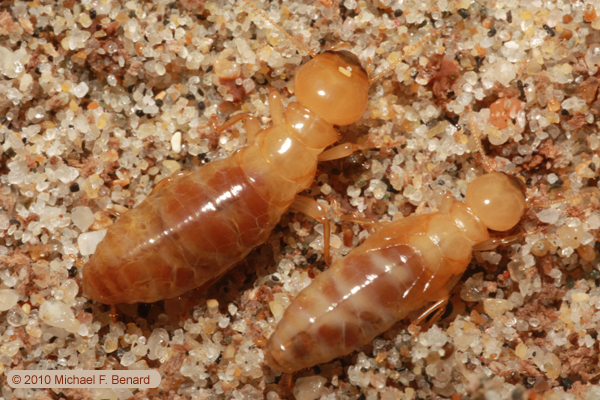 These plump termites looked like they would be a perfect little prey item for legless lizards. However, the highlight of the trip came when we were at a site about 100 meters from the ocean. 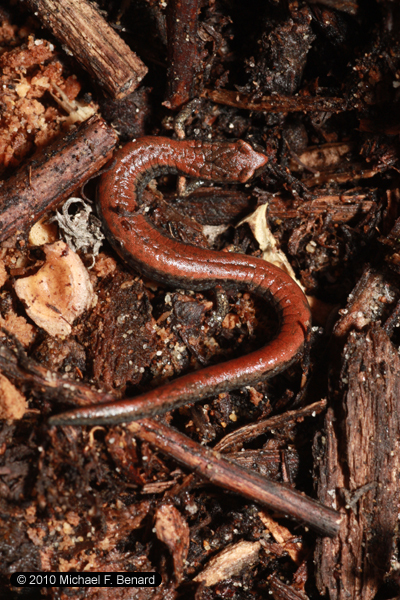 There we checked under a clustering of old driftwood, and found a slender salamander (Batrachoseps gavilanensis). This was the first time either of us had seen a slender salamander so close to the ocean. 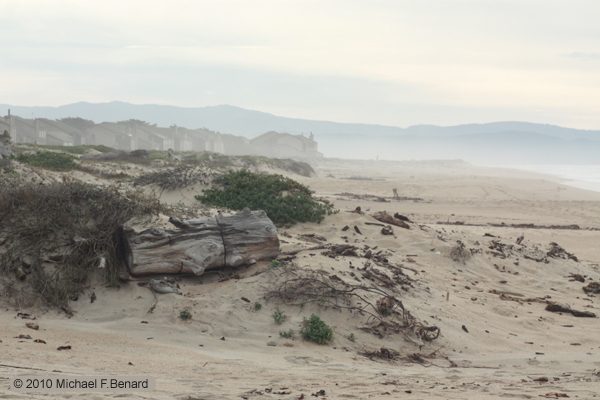 We wondered how the proximity to the ocean affected these salamanders. Would the slender salamanders living within a few hundred meters of the ocean tolerate salt water better than slender salamanders from further inland? Not surprisingly, this very question had already been investigated. 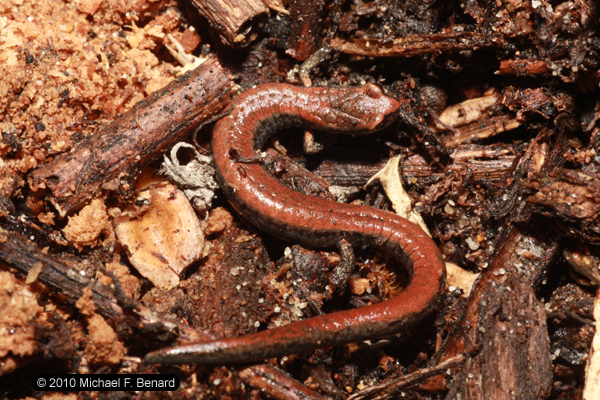 In a 1975 paper, Paul Licht and colleagues showed that slender salamanders from near the ocean survived exposure to salt water much better than salamanders from much further inland (Licht et al. 1975 Salinity tolerance and osmoregulation in the salamander Batrachoseps J. Comp. Physiol. 102:123-134). While they could not tell if this was due to individual acclimatization or genetic differences among the populations, it would not surprise me if this was a case of local adaptation. Not a bad way to spend the first day of the new year! This entry was posted in Natural History, Science and tagged adaptation, Salamander, Science, slender salamander. Bookmark the permalink.